One of the world’s oldest storage devices was found in a cave. The information encoded on it was still in relatively good shape, considering its age. Unfortunately, this information was not easily retrievable. I am referring here to the Lescaux cave paintings of southern France where knowledge was encoded in symbolic form on cave walls. We really can only guess what that knowledge was, however. Later, when writing systems became available, knowledge could be encoded on a storage device known as paper and, since more individuals understood the encoding system, the writing, the information, could be more readily retrieved for future use. The bad news was that storing knowledge on paper was risky because paper is an unstable storage medium. It would be unlikely for it to last as long as the 17,300-year-old cave paintings or 30,000-year-old Australian petroglyphs (engravings in stone). The above examples give all the information anyone needs to know about information storage. One acquires valuable knowledge that he or she decides should be remembered or passed on to others. One encodes the information in some symbolic way on some medium or storage device. In order to complete the process, others must be able to retrieve and use this information. Hacking, in this context, is the disruption of the storage process, either by interfering with the storage itself or in illicitly retrieving the stored information. It might be interesting to note that humans are not alone in this ability to use information storage. Bears will make scratches (encode information) on trees (storage devices) to tell other bears to stay off their territory. Other bears can use this information (retrieval) to decide whether to enter the territory or not. Ants will leave chemical markings to show others the way to food. One can prove that this information storage works by killing the ant that originally laid the trail, as the food gathering (information retrieval) can continue without its existence. Every individual has a storage device, or brain, for information storage and retrieval. This device, however, has a limited lifespan. In the past, before widespread information storage systems were developed, storytelling, rituals, dancing, painting, and music, could be used to give knowledge a lifespan that exceeded that of the human that possessed it. The advent of printing really meant that important information could be more extensively backed up, a key concept in modern knowledge preservation. The ancient library of Alexandria had most of its papyrus scrolls destroyed by fire around 400AD. Only a few handwritten backups were stored in other regions, basically, because making such backups was time consuming. Because storage devices are all vulnerable to physical destruction, the idea of backing up knowledge continues to this day. However, the ability of anyone with a printing press to print whatever they wanted meant that unauthorized printing of information could occur. Later, photocopying machines made it even more convenient to illegally copy information. This matches the original definition of hacking as it is really the unlawful retrieving of stored knowledge. Forged money or fake paintings would also fit this definition. Plagiarism, passing off someone else’s knowledge as your own, is also a form of information hacking (think in terms of someone hacking into a company to get secret information on a new product that they could then use to build their own product). The 20th Century produced a rapid increase in information as well as the appearance of a variety of storage devices. There was photography, film, audio tapes, vinyl records, video, microfilm, and, eventually, digital storage. More than ever, long-term storage, retrieval, and backing up knowledge grew in importance. As knowledge grew logarithmically and its widespread availability and transmission, through the internet, became the basis for progress, the problem of the preservation of digital knowledge on relatively fragile storage devices became the focus of increased attention. In other words, people began to understand that losing this precariously-stored knowledge would be nothing short of a cataclysmic event. The problem is that all knowledge is being digitalized and, unlike petroglyphs, has a much more limited lifespan. In fact, the best digital storage devices can, only in the most optimum conditions, preserve the information they contain for 25 years. Here is what the Storagecraft website gives as the lifespan of various digital media. Now, you might notice something called M-Disc, which claims a storage lifespan of 1,000 years. These are basically DVDs that have special materials in their storage layer that are resistant to heat, moisture, and sunlight. Their motto is, “Your life engraved in stone.” (Hmm, seems like I’ve heard that idea before.) Anyway, they need to be written with special DVD writers, though they can be read on any normal DVD player. The problem is that one M-Disc DVD is expensive ($7) and only holds 4.7GB of information. They do offer a Blu-ray version which can store 25GB. However, the problem may be that the necessary information retrieval devices, DVD players, are rapidly heading down the road to extinction with their predecessor, the VHS player. Will your grandchildren have one around when they want to see the photos you’ve saved back in ‘the olden days’? That brings up cloud storage. Is it safe? Well, in a word, no, at least, not absolutely. Servers can be compromised, transmission of information to the cloud can be intercepted, cloud service employees can be manipulated by phishing emails, and even encryption keys have to be stored somewhere. Then there’s the disaster scenario. You can only access the cloud if you are connected to it. If you lose electric power but need your files, you’re out of luck. Servers are physical objects as well and can be lost to disasters. You never know. If your cloud information is password protected, passwords are always vulnerable. And what if those you pass on your digital legacy to lose that password or your encryption keys? Will all those old photos, videos, and documents be inaccessible forever? Then there’s the nagging worry about whether the companies that are flying high today will still be around tomorrow. If a cloud storage company goes out of business, what then? Do you just download your files and find another provider? Where will you download and store these terabytes of data? In fact, seeing that this problem may arise, companies are springing up that will help you transfer your files from one cloud storage site to another. There is now a more existential worry looming in the background. Let’s call it the apocalyptic or near apocalyptic event: Something that wipes out entire infrastructures in a region or even worldwide. What happens to the store of human knowledge then? How much damage would be done? Well, it’s possible that this problem has been solved. There now exists apocalypse-proof storage and we are all carrying it around with us right now. It is DNA storage. Yes, we are all the expression of biological computer programs. The program is in our DNA. 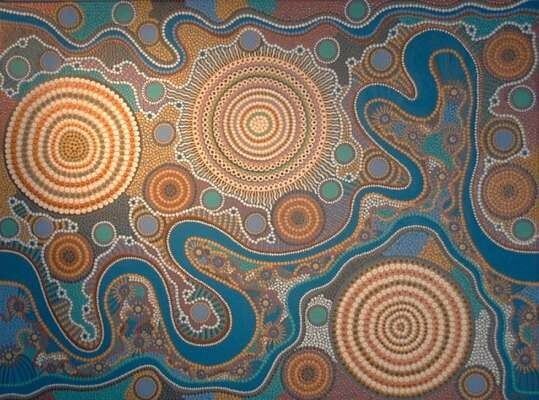 We are information represented by patterns formed by the bases that make up our DNA. These bases are referred to as A,G,T, and C. The bases occur in pairs on the DNA strand. Almost as soon as such pairings were understood, scientists saw the possibility of using DNA as an information storage device. If the bases could be translated into zeroes and ones, DNA could be used to store digital information. In fact, this first happened at Harvard in 2012 (T and G = 1, A and C = 0). At that time, these scientists were able to store 5.5 petabytes (700 terabytes) of data on one gram of DNA – that’s about the size of a drop of liquid. To put these numbers into a different perspective, that’s about 45,000 16GB USB sticks, roughly 1.5 tons,… all in a drop of liquid. Moreover, it is speculated that all recorded human knowledge, from your family photos, to every film or movie ever made, to every Facebook post, to every obscure article in any obscure journal could be stored on a teaspoon of DNA. DNA is incredibly compact and also quite durable, under normal conditions. Remember, scientists have retrieved DNA from 60,000 year old mammoths. However, there are still problems of storage and retrieval at normal temperatures. Portions of the DNA begin to decay and retrieval errors will ultimately occur. Recently, however, Swiss scientists discovered that, if they could coat the DNA in glass (silica), the lifetime of the DNA molecule could be dramatically increased. This plus using certain redundancy techniques in the encoding would enable nearly complete information retrieval. In addition, if this capsule was stored in arctic conditions (-18C), this information could be retrieved even after the passage of millions of years, in other words, after an apocalyptic event. But before you go rushing out to your local DNA storage store, you should know that the cost of such storage is currently out of the range of most individuals. According to one source, encoding alone would cost $12,400 per megabyte. But these things have a way of changing and, undoubtedly, costs will fall with advances in technology. DNA computers are already being developed, but their practical use is still a long way off. Nonetheless, with their ability to store and manipulate huge amounts of data, DNA computers may be the only way to solve such complex problems as the duplication of the human brain. The ultimate problem to solve in such a pursuit is that the human brain is an analog device. You cannot perfectly simulate the analog world in which we live with digital code. However, DNA encoding and storage may be able to circumvent this daunting obstacle. Some recent studies have shown that it may be possible to store analog information on DNA. George Church, one of the scientists who worked on the initial DNA storage, hopes to store analog information on DNA directly, without any electronic intervention. This, he envisions, could allow DNA recording devices to be painted on a wall to record whatever happens in a room. The recorded information encoded in the DNA could then be scraped off whenever it is needed. With DNA storage and the imminent development of DNA computing, we are, as a species, starting down a road that has previously only been envisioned by science fiction writers. In fact, there are developments over this horizon that are far beyond anything that we can currently conceive of. Posted on March 2, 2015 by Steve MierzejewskiTagged cloud storage, dna computing, dna storage, limitations of data storage.